Cally Jordan has degrees in both civil law and common law (LLB/BCL McGill University; DEA, Université de Paris I (Panthéon-Sorbonne)) which she obtained after a BA, with distinction (Carleton) and a MA (University of Toronto). For her graduate work in Paris, she studied with Professors Jacques Ghestin, Genevieve Viney and Paul Lagarde. She has practised law in Canada, New York, California and Hong Kong and spent several years in the New York office of Cleary, Gottlieb, Steen & Hamilton working in the area of international finance. Cally has spent over fifteen years with the World Bank, both as a consultant and as a full-time advisor, on commercial, financial, corporate governance and corporate law innumerous countries (Indonesia, Vietnam, Tunisia, China, Chile, Korea, Slovakia, Armenia, Macedonia, Lithuania, Egypt, Kenya, Uganda, Tanzania, Bahrain, Mauritius, Cambodia). Between 1991 and 1996, she was an Associate Professor at the Faculty of Law at McGill University and member of the Institute of Comparative and Private Law. More recently, she spent 2010 as a Visiting Professor at Duke Law School, Durham, North Carolina and taught for a semester in 2011 at Georgetown's Center for Transnational Legal Studies in London. Since then she has been a visiting fellow at the Max Planck Institute for International and Comparative Law in Hamburg (2012), the London School of Economics (2013), the British Institute for International and Comparative Law (2013) and the inaugural P.R.I.M.E Finance Fellow at the Netherlands Institute for Advanced Studies outside The Hague (2013). In 2014, she will be a Dean's Visiting Scholar at Georgetown Law Center in Washington, DC. She is a frequent speaker on corporate governance, capital markets and corporate law. She is the author of proposals for the reform of Hong Kong companies law and spent nearly five years living in Asia. Member, International Programmes Advisory Committee; Budget Committee; Advisor – International Careers; Director (Associate Dean) for International Relations. In 2003, Cally was elected to the American Law Institute, and in 2013 to the European Law Institute. 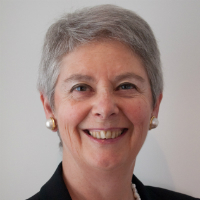 She is a member of the International Academy of Comparative Law, the European Corporate Governance Institute and the Australian Law Council. She is on the neutrals panel of the International Center for Dispute Resolution, American Arbitration Association, New York City and the International Financial Experts Panel of the P.R.I.M.E. Finance Foundation, The Hague as well as a member of the Advisory Panel on Local Capital Markets Development of the European Bank for Reconstruction and Development, London UK.